Do you feel safe? Living in the city I feel a healthy sense of paranoia, but do I go far enough? Our lives and our loved one’s lives are very public, thank you social media, and there is more information available online than you can imagine (and I have a vivid imagination)! I, for one, have been the victim of wire fraud (Chase made me whole) and a home break in when I was younger (thankfully they passed over my teddy bear). This really informs my behavior. In this week’s Find I descend into the Heart of Darkness (for security) and come out smelling like roses! The First Level of Paranoia, physical threats where you live! More than my own safety, I am worried about the safety of my family. Let’s be honest, we live in a big, dangerous city and we are not in Kansas (Illinois) anymore! Therefore, I like (the ability) to know where everyone is at any time, or even where they have been. Find my Friends is pretty good, but Life360 even better. It must first be loaded on everyone’s phone who you want to include in your group. 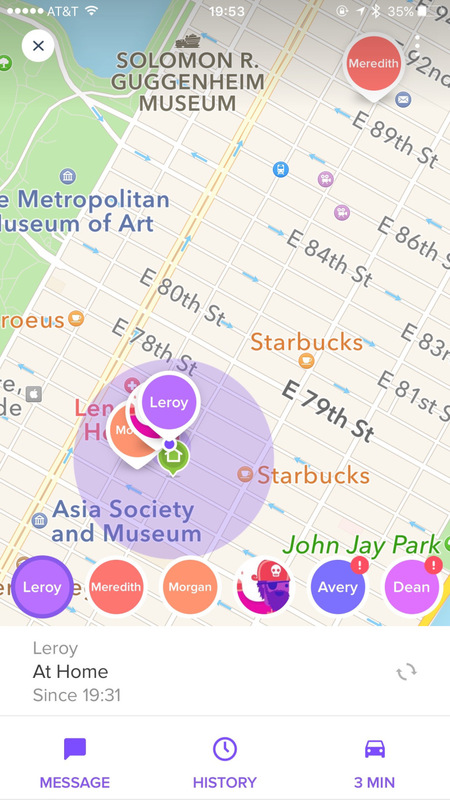 Then you can see where everyone in your group is, or where they have been, in the last 24 hours or so. It allows you to set locations whereby whenever anyone enters or leaves the location you are notified. This is useful so I know when my kids are in transit from school so I can monitor where they are going and how they are going. Obviously technology could be applied to anyone you are worried about (or stalking) like kids, parents, girlfriends, boyfriends, wives, husbands, etc. The Second Level of Paranoia, non physical threats from anywhere in the world! Do you have the same password for most everything? Have you created two or three different levels of security depending upon the application? If the answer is yes for either, then your security is not assured given the reality that if a single site is breeched then every site you subscribe to may be compromised as well. Also, don’t you hate when you are forced to change your password periodically on one of your sites…how do you manage this? Do you begin writing these passwords down on a piece of paper…If any of this sounds familiar then you are like most people. The reality is that the safest thing to do is create a unique password for each and every site. This is precisely what 1Password allows you to do, and it is an extension to your browser so that it is maintained. It only requires that you remember a single master password that must pass serious security muster for them to allow you to use it. It syncs across all devices and reduces the likelihood of a data breach impacting you. The Third Level of Paranoia, a threat in your own home! Do you have a security issue in your own home? I am reminded of one of my favorite stories told by a relative who noticed that cash she had left around went missing. Being the detective she is, she went about getting a hidden security camera for her home. The set up was ready…she loudly announced that she was leaving the house (and her bag upstairs) for a few hours. Later that night, she reviewed the security camera. And just as she suspected, the nanny went into her purse, pocketed $60 dollars, and went back to watching the children. She was about to turn off the tape when all of a sudden the housekeeper showed up and did roughly the same thing, pocketed $40 dollars and replaced the rest. Not two minutes later, another employee came in and did the same! They must have been lined up in the hallway to pilfer money!!! True story! The Logitech Circle is an inexpensive yet really high quality camera. It is accessible from any device or computer and has a motion sensor which prompts it to record. You can capture up to 24 hours of storage in the cloud for free; you may purchase more if desired. You can watch on multiple cameras and there is a push to talk feature (through the camera). This can simply be used to watch after an elderly loved one, your baby’s room, or your jewelry drawer. Consider your journey through the 3 levels of Paranoia a little safer and your security features more sound, with Life 360, 1Password, and Logitech Circle Found!